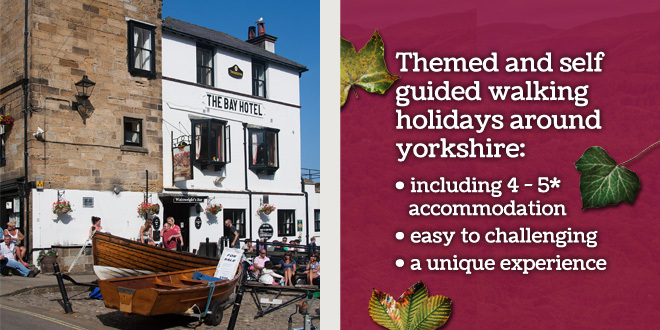 Walk Yorkshire Holidays provide themed guided and self guided walking holidays with everything you need to enjoy the splendour of the Yorkshire landscape. 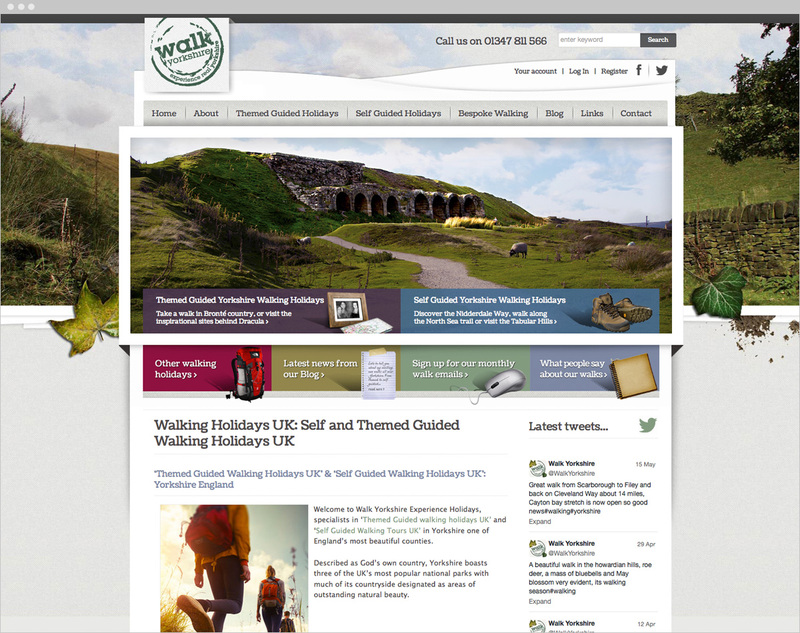 Walk Yorkshire approached CODA to develop a new start up brand aimed at walkers requiring a walking holiday, they also required a website with full e-commerce and booking facilities. 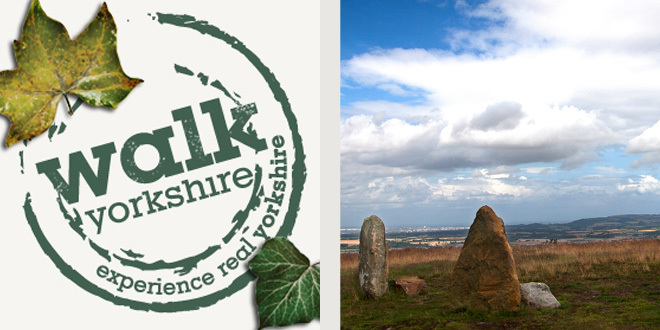 CODA kick started the new Walk Yorkshire Holidays branding by developing a logo that incorporated the feel of travel, it used an ink stamp approach that conjured up thoughts of passport stamps and postcard postal franks. 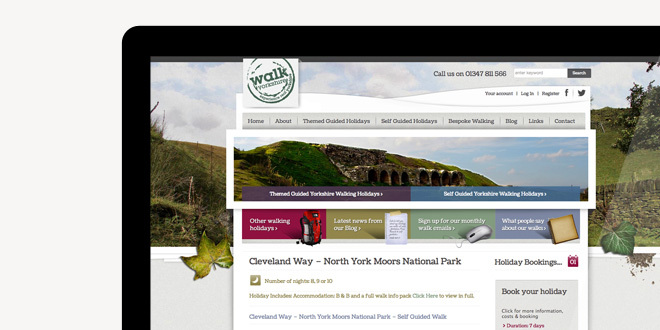 We then created a website that took the brand to a new level incorporating the amazing Yorkshire scenery of the walks. 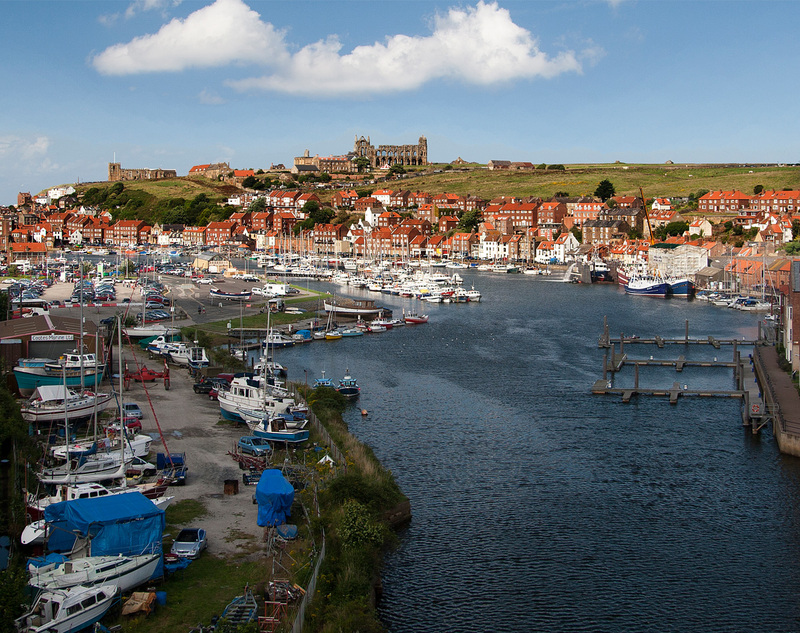 We felt it was important to communicate the heritage of the walks on offer as well as the full package and itinerary that Walk Yorkshire offers to create the desire to book a holiday with them. 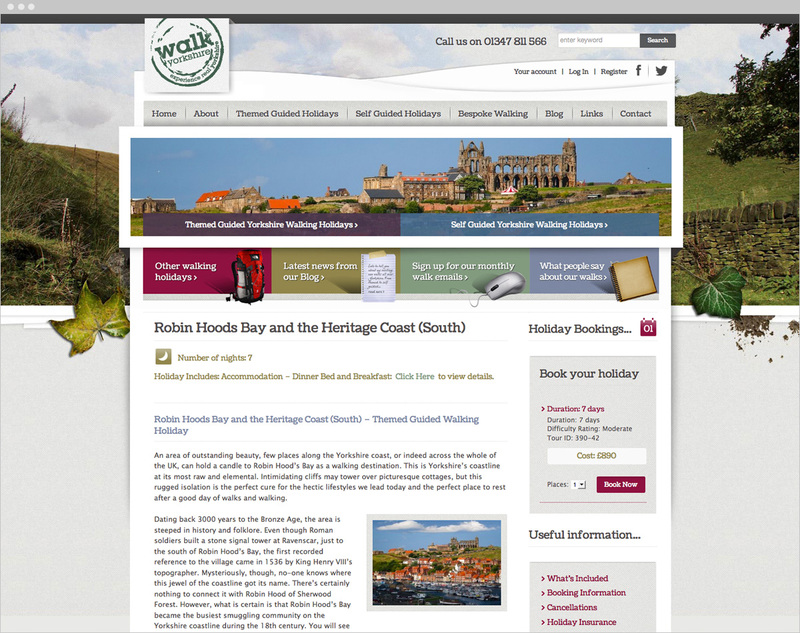 The website was also structured carefully in to Themed Guided Walks and Self Guided Walks to help with search engine optimisation and to make it easy and clear for the customer. In addition to the normal integrated e-commerce functions CODA also incorporated some complex deposit and balance e-commerce functions which we programmed specifically to the needs of the client. 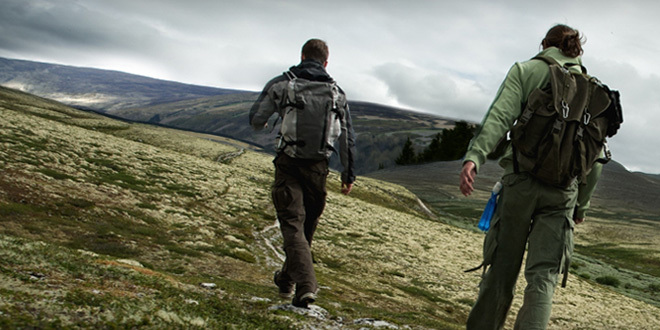 CODA went on to provide further branding and strategy help for social media campaigns and created, promotional mailers, adverts for walking magazines and mini brochures.